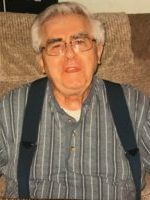 Floyd passed away Friday, December 2, 2016 at Park Place Assisted Living in Kalamazoo. He was born July 15, 1930 in Hillsdale the son of Clarence and Mary “Mae” (Clark) Black. Floyd served his country in the US Army during the Korean Conflict. After his service Floyd did some farming before going to work as an Industrial Engineer. He retired from Lowell Engineering in the early 1990’s. 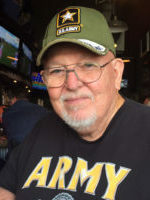 Floyd had also been a preacher in Allegan for 3 years and had taught Sunday school, helped with the Christian Youth Crusaders, and had been a substitute bus driver. He also enjoyed helping at the senior center, volunteering with hospice and helping with the census. In his spare time he enjoyed playing chess and the harmonica. 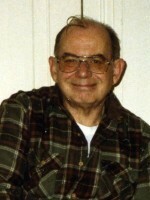 Floyd was a member of the Friendship Wesleyan Church in Plainwell and the Gideons. He was a patriotic family man who adored his grandchildren. On January 22, 1955 in Angola, IN he married Marilyn McDowell who passed away in 2011. 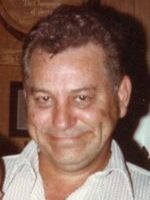 Surviving are his children, Michael (Ruth) Black of Williamston, Margaret “Peggy” (Phil) Perry of Wetumpka, AL, Susan “Becky” (Richard) Pfau of Plainwell, Cynthia “Cindy” (Terry) Trammell of Cordova, TN and Mary (George) Washburn of Otsego; 15 grandchildren and their spouses; 16 great-grandchildren; siblings and many nieces and nephews. He was preceded in death by his parents; wife; great-granddaughter, Emma Grace Hirt and by his siblings, Donna Web, Walter Miller and Earl Black. 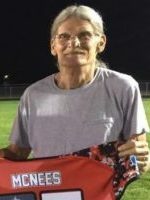 Friends may meet with Floyd’s family from 4-8 P.M., Tuesday, December 6, 2016 at the Winkel Funeral Home, Otsego. A funeral service will be held at 11:00 A.M., Wednesday, December 7, 2016 at the Friendship Wesleyan Church in Plainwell with Pastor Kevin Smith officiating. Contributions in memory of Floyd may be made to the Friendship Wesleyan Church or to the charity of choice. Ozzie passed away Thursday, December 1, 2016 at Life Care Center in Plainwell. 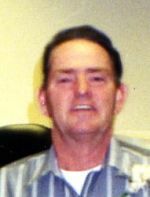 He was born at home in Plainwell on April 1, 1933, the son of Alanzo and Hazel (New) Moran. For 32 years he worked at Mac Sim Bar and retired from Rock Tenn in 1995. 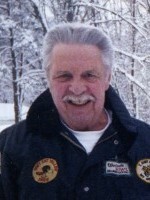 Ozzie had also owned and operated 3 bars in Otsego, Hart and Mendon for 15 years. In his spare time he enjoyed hunting, fishing, gardening and feeding the birds and squirrels. He was a member of the Otsego Moose Lodge and the club at the Otsego VFW. Surviving are his partner in life, Barbara Roy; son, Allen Sr. (Nancy) Moran of Otsego; step-children, Dave (Sherry) Meyer of Otsego, Cindi (Rod) Tompkins of Otsego, Lauri (Jerry) Kling of Otsego, Ben Meyer of Parchment and Vikki (Dale) Meyer of Plainwell; 5 grandchildren, Allen Jr., Megan, Joanna, Leah and Misti and his brothers, Calvin, Alanzo, John, Leo, David and Bill. He was preceded in death by his parents; siblings, Elton, Carol, Margaret and Phyllis; son, Oscar Jr. and step-son, Harm Meyer Jr.
Friends may visit with Ozzie’s family from 3-5 P.M. Sunday, December 4, 2016 at the Winkel Funeral Home, Otsego where a funeral service will be held at 11:00 A.M. Monday, December 5, 2016 with Celebrant, Bill Rose officiating. Contributions in memory of Ozzie may be made to the American Cancer Society. Howard passed away Monday, November 3, 2014 in Allegan. 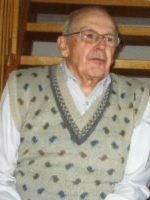 Mr. Rex was a lifelong resident of Otsego and was born March 26, 1923, the son of Walter and Evelyn (Tyler) Rex. 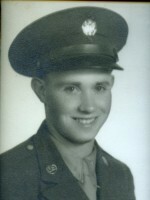 He served his country in the US Army during World War II. For 44 years Hi worked in sales for Michigan Cottage Cheese until his retirement in 1983. Together with his brother Harry they operated Rex Brothers Well Drilling. On November 25, 1953 in Bryan, Ohio he married Thelma Shiflea who passed away in 2004. Howard enjoyed gardening, fishing, hunting, and spending winters in Florida. Most of all he loved his children and grandchildren. Surviving are his daughters, Jackie (David) Dutton of Otsego and Susan Paolella of Florida; grandchildren, Chad (Nicki) Dutton, Geoff (Debbie) Hayes and Jammie (Matt) Dunklee; six great-grandchildren and many nieces and nephews. He is preceded in death by his wife; children, Sally Girling and Stephen Rex; son-in- law, Anthony Paolella; siblings, Raymond, Robert, Harry and Glenn Rex, Marguerite Thompson and an infant brother. A Memorial Service will be held Saturday, November 8, 2014 at 1:00 P.M. at the Winkel Funeral Home, Otsego with Celebrant Bill Rose officiating. Military honors by VFW Post #3030. Contributions in memory of Howard may be made to the American Cancer Society. 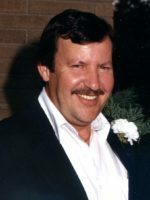 Duglaus L. Paul of Allegan passed away Wednesday, August 20, 2014 in Allegan. Dug was born June 23, 1946 in Erie, PA to LaVerne ‘Shortie’ and Margaret (Ray) Paul. He had been employed with Boylan Sales, Johnson Controls and McPherson Plastics. In his leisure time he enjoyed hunting, fishing and spending time with his wife Sharon. Dug married in 1965 and had six children. Dug’s first marriage ended in 1992. In 1994 Dug meant Sharon Stewart and fell deeply in love with her. They were married on August 4, 2000 and everyday his love for her grew stronger. Sharon was his soul mate. They will be buried together at her time of passing. Surviving are his wife Sharon; children, Laura Florian, Mark & Dixie Paul, Pricilla & Joe LaRoy, Patricia Paul, Jackie & Bill Melick, Richard Stewart and Jeff & Megan Stewart; 18 grandchildren and 2 great grandchildren. He was preceded in death by his parents; a son Duglaus LaVerne Paul Jr. and a son Christopher Stewart. Respecting his wishes he has been cremated. A Memorial Service will take place at the Otsego VFW Sunday, August 31, 2014 from 2-4 P.M. In lieu of flowers contributions in memory of Dug may be made to Wings Home in Allegan.